Being a Saturday, day three of Comic-Con 2011 saw no letup in the parade of cosplay across the halls of the San Diego Convention Center. 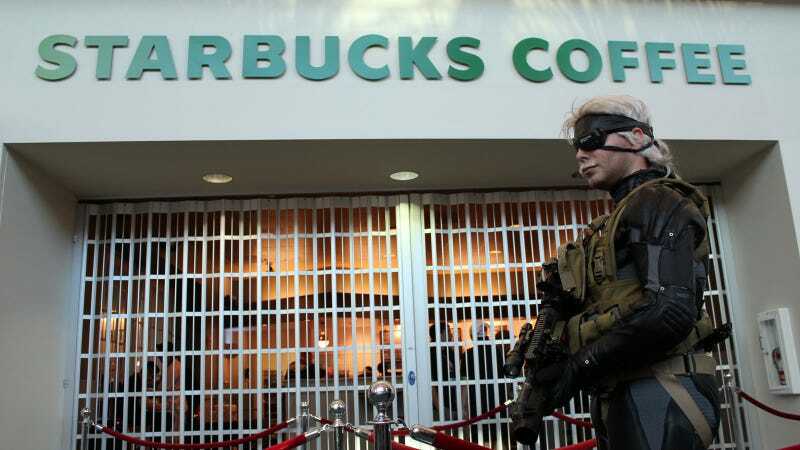 And those who have braved the stampeding horde know why the in-house Starbucks would need an armed patrol by this old soldier. Saturday saw appearances by Obi-Wan, Han Solo, the Assassin's Creed apothecary, D.C. Universe Online-authentic Harley Quinn and Joker; an utterly ripped Hawkman, and Captain America exercising his First Amendment rights in the Ultimate Marvel vs. Capcom 3 panel. See 'em inside!